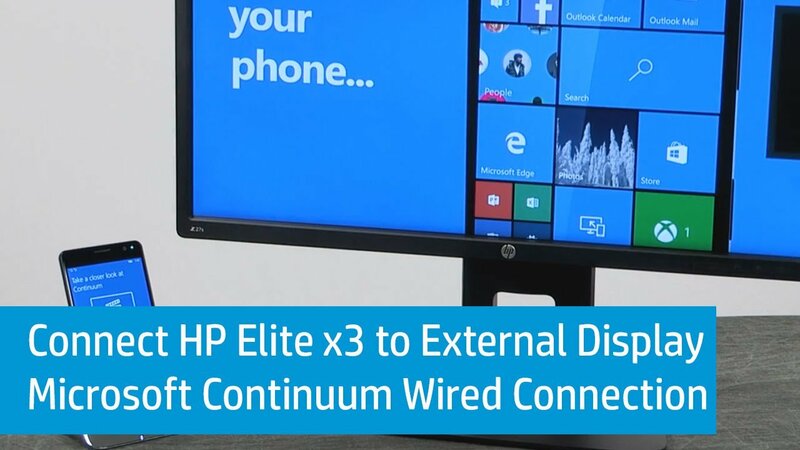 New videos have been posted showing how the upcoming HP Elite x3 with Windows 10 Mobile can be hooked up to a large monitor so it can be used like a PC with Continuum. The videos, as posted on the HP Computing Support YouTube page (via Aggiornamentilumia.it) showcase how owners of the 6-inch phone can connect to a large monitor via a wired or wireless connection. They also demonstrate how the phone can connect to the optional Desk Dock which can also connect it to a large display, along with a keyboard and mouse. Shipments for the HP Elite x3 have yet to officially start, although some retailers have begun to take pre-orders for the phone. HP's U.S. website will start taking orders for the phone on September 5 for $699, or for $799 when bundled with the Desk Dock.